Built in 1976 as the athlete’s residences for the Summer Olympics in Montreal, The Olympic Village, also known as the Pyramids or the Grand Hotel, is an iconic landmark in Montreal. The two 23-storey buildings now contain approximately 900 rental suites and are joined together on the two lower levels with commercial office spaces. In 2012 CAPREIT engaged us to perform a condition assessment before purchase. 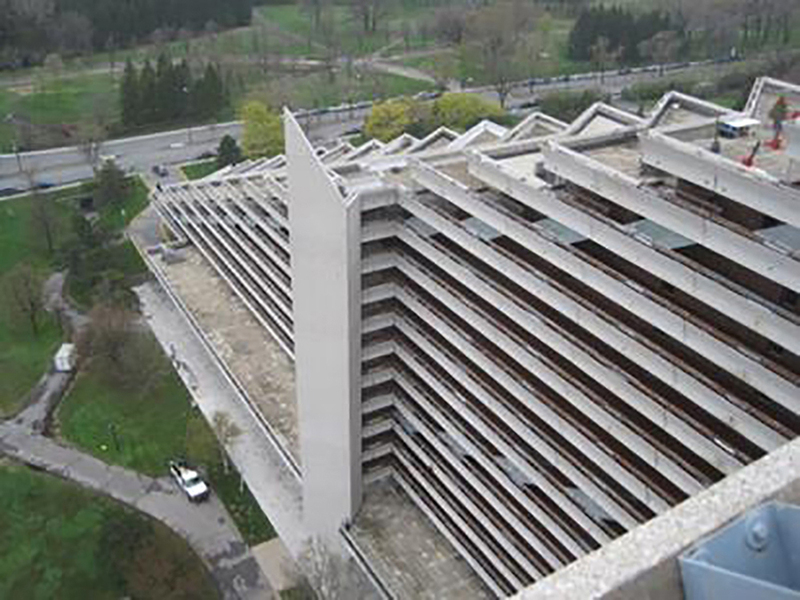 We carried out a detailed condition assessment of the exterior walls, balconies, and parking garages to determine what repairs were required. We also provided project management during the repairs, overseeing the work and administrating the contract. Our Hazardous Materials / Environmental Health & Safety team provided asbestos and designated substance surveys (DSS).